While it’s not all in text format, the following image is from a blog post in 2007 that pretty much explains how I ended up using WordPress for the long haul. I obtained the image from an archive I had on an external hard drive. 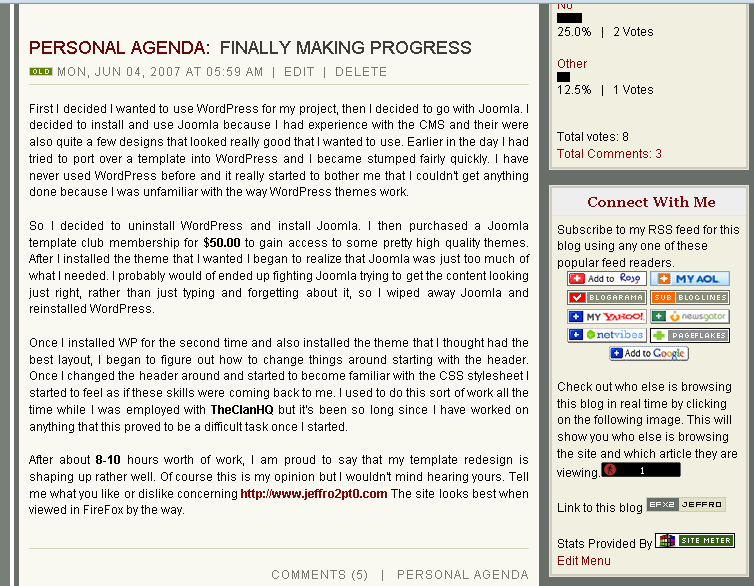 I used a blogging network called EFx2 before I found out about WordPress.com. EFx2 was awesome not only for what it offered but also because of the community surrounding the effort. The community and network effect of EFx2 far surpassed any killer feature EFx2 could offer as far as blogging was concerned.